Providing additional living space for your home. 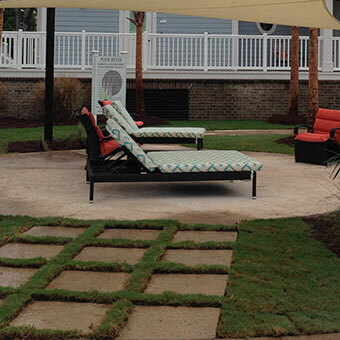 Extend the enjoyment of your outdoor space. Enjoy the outdoors while sheltered from the elements. and value of your home. 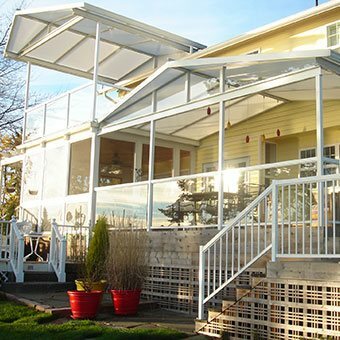 From decks to retractable awnings, pergolas, patio covers, and full sunroom units, Express Sunrooms does it all. We can create an idyllic backyard environment for barbequing, entertaining guests, or simply appreciating the natural scenery around your home. 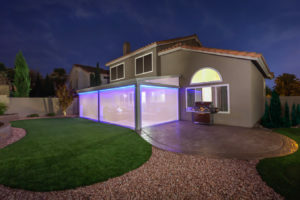 Because we offer a vast array of outdoor living solutions – including awnings, screen rooms, and patio enclosures – we can create an outdoor space that is perfect for your lifestyle. 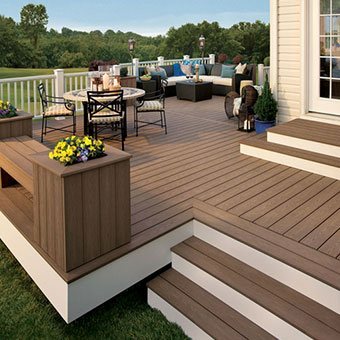 For instance, if you want an open-air space where you can relax with family and friends, we can build a custom deck that is specially designed for your home and preferences. Or, to block bugs and intense heat, we can install a screened in porch with a thermal roof, which will keep your patio 15-20 degrees cooler on a warm day so you can relax in comfort. 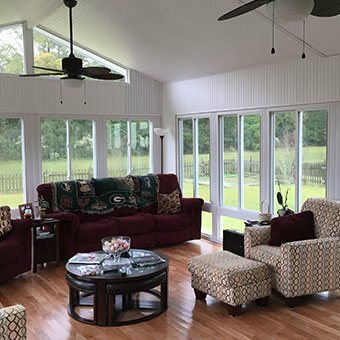 For the ultimate protection against inclement weather, you can choose an insulated sunroom, which you will be able to enjoy year-round. 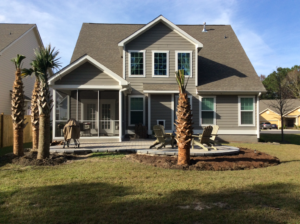 Rest assured, no matter which type of upgrade you choose for your home – whether it’s a sun porch, pergola, paver patio, or other outdoor enhancement – we will install top-quality products that are built to last. 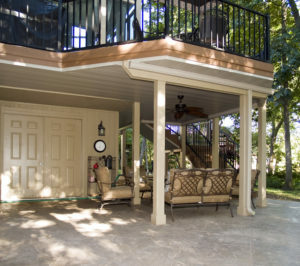 For example, our Express Porch Panels are highly versatile structures that can be opened to serve as a screen porch or closed to become an enclosed patio, so you can enjoy a fresh breeze when you want but also protect your porch from rain, wind, and pollen. Made from maintenance-free aluminum framing, these enclosures last through the years with minimal upkeep required. 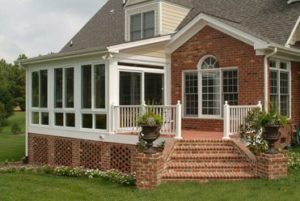 Like virtually all of our products, our Express Porch Panels come backed by a lifetime warranty for your peace of mind. As a company that has always considered customer service the cornerstone of its business, Express Sunrooms is proud to make improving your home a positive experience. We treat customers the way they want to be treated. In fact, we promise exceptional customer service through our 10 Trust Points, which set Express Sunrooms apart from other companies and make us the perfect choice when you want to transform an outdoor area of your home. 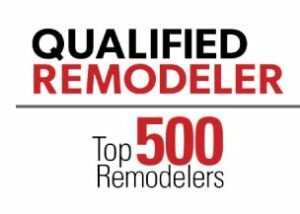 For instance, our No-Risk, No-Pay Guarantee states that you will not spend a dime for your project until our work is done. 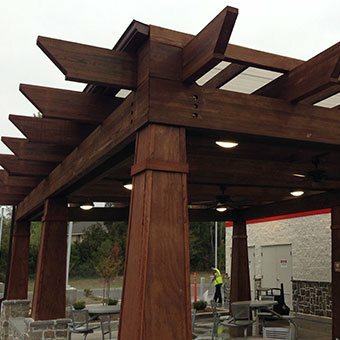 You will only need to pay for your new pergola, patio awning, or porch enclosure once we have earned your complete satisfaction. 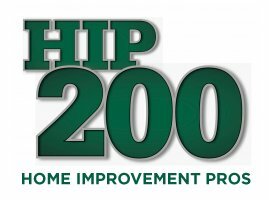 To ensure that your sunroom or screen porch installation goes smoothly, a dedicated project manager will guide your home improvement process through to completion, keeping it on budget and on schedule. Because we complete a vast number of projects every year, we have perfected a systematic approach that ensures consistent results. 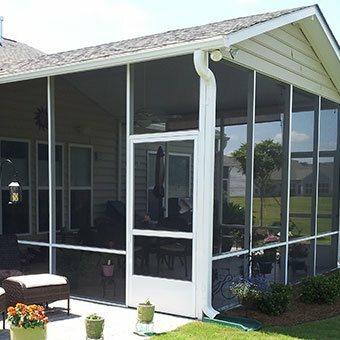 Contact Express Sunrooms today to make your dreams of transforming your outdoor space a reality. 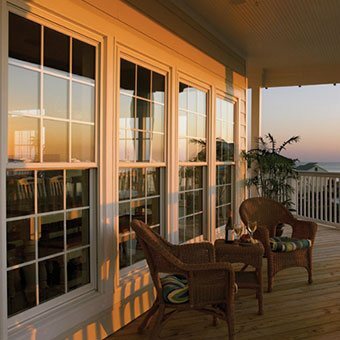 We are the premier source for screen enclosures, four seasons sunrooms, custom decks, pergolas, and more.